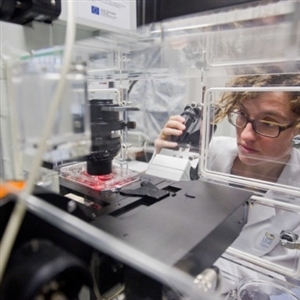 IRB Barcelona is a world-class research centre engaged in basic and applied biomedical science. Researchers work across five multidisciplinary programmes, and are supported a wide range of cutting-edge scientific facilities and services. The convergence of biology, chemistry, and structural and computational biology is unique at IRB Barcelona and opens a strategic window to gain insight into basic molecular processes in diseases such as cancer and metastasis, diabetes, Alzheimer's and rare disorders.